I hope everyone had a fantastic Christmas and that your time was well spent with family and friends. Today I'm going to blog about a movie I watched yesterday. 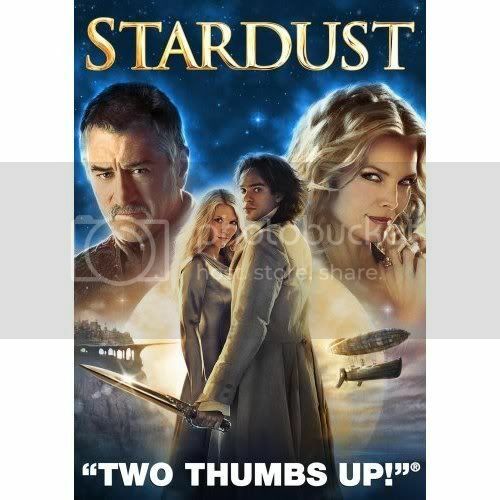 If you love fantasy movies with that fairytale feel than you have to check out Stardust. I've been disappointed with quite a few movies recently, but this one gives you everything, adventure, suspense, magic, romance and best of all a HEA! So, if you haven't seen it yet, get it the next time you're in the mood to watch a DVD. Here's to a Happy New Year everyone! Doorway to the Stars has been RELEASED!!!! Christmas Party Chat at RWA Online! Blogging over at Moonlight Romance Authors Blog!